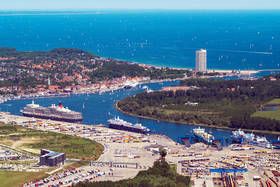 Skandinavienkai, the biggest terminal in the Port of Lübeck and one of the largest RoRo and ferry ports in Europe, is situated directly on the estuary of the River Trave. 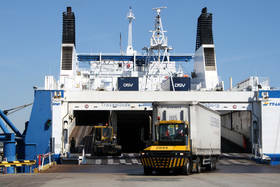 Skandinavienkai offers an excellent hinterland connection with efficient intermodal services, connecting these with a network of reliable and very frequent liner services with departures to partner ports in Sweden, Finland and Latvia. Highly trained staff as well as state-of-the-art handling equipment are there to serve customers around the clock on 365 days a year. The range of services also includes a Skandic Service GmbH truck workshop and mobile truck/trailer service. Skandinavienkai is the hub not only for all cargoes transported by truck, semi-trailer, container or swap body, but new and used vehicles of all types are handled here en route to the markets of Northern and Eastern Europe. 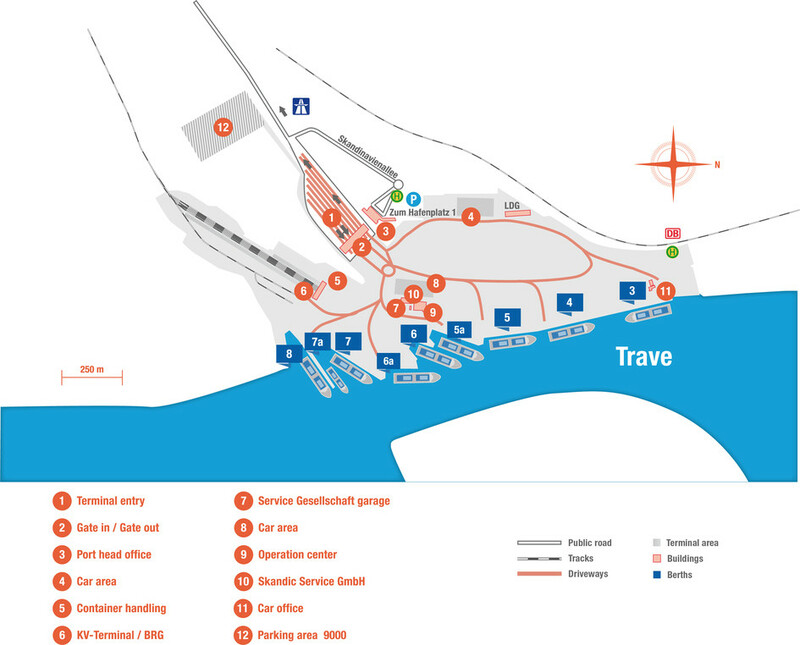 Clearance offices of the shipping lines and forwarders are located in Hafenhaus, directly at the terminal, along with a restaurant and shopping facilities. Every year, well over 400,000 passengers make Skandinavienkai their departure point or destination for a Baltic voyage. Directly adjacent to Skandinavienkai, industrial zones offer companies from all sectors of industry the opportunity of an optimum location immediately next to the port. During 2012 a major public truck park was established here. The secure fenced area is equipped with sanitary facilities, fresh water, electric power and camera surveillance. In addition, with a four-lane federal highway the terminal has its own direct spur to the A1 autobahn.